This is an exciting week here at Heritage, it is our annual PTA Family Week. Below is a quick rundown of the fun! Monday – Family Fun Night, check out the attached list and make some memories and have some fun! Tuesday – Grandparent Show & Tell, an enjoyable time for our students to learn from the wonderful experience of grandparents. Wednesday – Family Picnic, come enjoy a fun lunch with your student, be sure to check the adjusted lunch schedule times. Thursday – Valentine’s Day, our students will be enjoying classroom parties and fun activities throughout the day. Friday – Parents & Pastries, start your day out with a donut and chocolate milk with your student. Also coming up are our next SEP Conferences. These will be scheduled the final week of the month (Feb 25 thru March 1). These conferences are such a wonderful opportunity for you to meet with your child’s teacher and receive updates on your student’s learning progress and current levels of achievement. Please take a moment now to schedule your conference appointment. CLICK HERE to go to the online scheduler website. 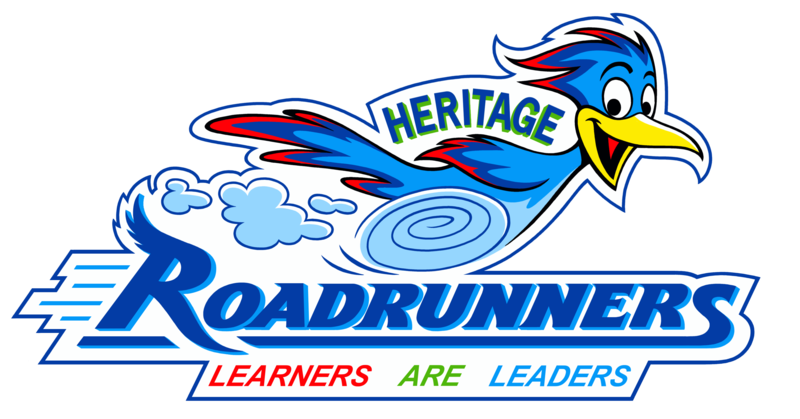 Our password is still “roadrunners”. Parent instructions can be found here. Thanks for your continued support of Heritage. Our exceptional teachers and staff care deeply about your student. This is an exciting time of year because we are able to see some exciting learning and progress and we can’t wait to share with you.